Based on the BT Optio L-series design, the BT Movit S-series of towing tractors offers high performance, with a towing capacity of up to 5 tonnes. Suitable for tow tractor applications as well as order picking operations, our S-series tow trucks feature the advanced BT Powerdrive integrated drive and control system for improved performance, efficiency and ease-of-use. An electronic braking system and optimised truck performance that adapts speed when cornering reduce drive-wheel wear and improve driveability. 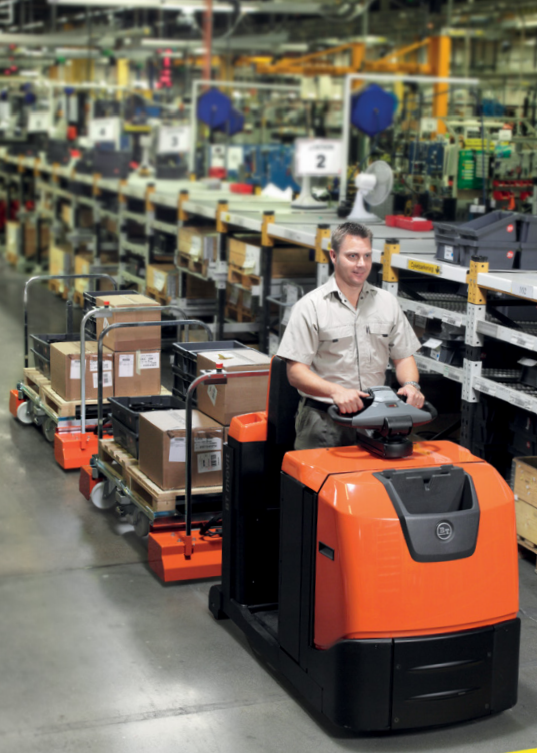 The BT Movit S-series of stand-in tow tractors feature energy-saving AC technology for enhanced productivity and durability during high intensity material handling operations. 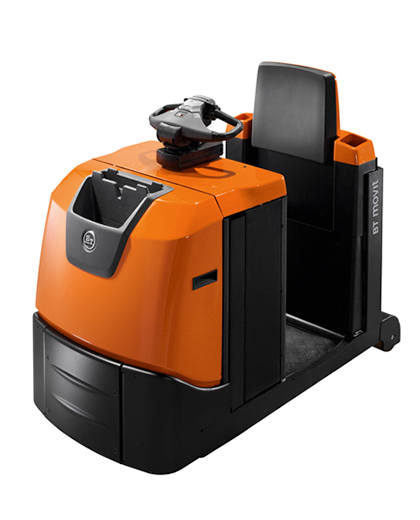 With a unique stand-in configuration, our TSE300/500 models are designed to ease operations that require frequent mounting and dismounting, making it suitable for use in order picking. Allowing for one hand operation, the TSE300 and TSE500 offer clear access to the tow hook from inside the truck, E-man steering for smooth control and fast acceleration for increased driveability and efficiency.